3 October 2005: The digital revolution and the rise of the information economy, coupled with vastly expanded global trade and international economic competition, has vastly increased the economic importance of Canada’s biggest cities. It is time, therefore, for a new intergovernmental focus  exploring how Canadian big cities fit into the political fabric of the country in the 21st Century and how the relationship between big cities and their provinces needs to be renewed. This exploration, so far, has been tentative at best. Not only is the national discussion on urban Canada just beginning to unfold, much of it spins around the federal-municipal connection as opposed to the provincial-municipal interface. While the federal-municipal tie should not be ignored, it is dwarfed by the provincial-municipal relationship. The Calgary-based Canada West Foundation recently published a discussion paper, Rationale for Renewal, in which it outlines the basic principles that ought to guide a renewed relationship between big cities and their respective provincial governments, along with the reasons for re-working the current relationship into a true partnership. In broad strokes, much of the rationale behind a new big city-provincial partnership rests squarely on the goal of urban sustainability. If past Canada West Foundation research tells anything at all, it is that Canada’s big cities are not winning the war for sustainability on many fronts  whether one considers them demographically, fiscally, economically, environmentally, or socially. For some, this seems to fly in the face of Canada’s urban experience. Don’t the country’s big cities offer a good standard of living and quality of life compared to many others around the globe? Well, yes. In many ways, Canada’s urban environments appear to work reasonably well and the cities have taken their place among some of the best in the world. But it does not logically follow that coping today means coping in the future. Consider current demographic trends. Between 1996 and 2001, Canada’s 27 biggest city-regions were responsible for over 95 per cent of all population growth in the country. The biggest cities continue to draw the great bulk of population growth in the country, and so far they have managed to absorb it. But rapidly expanding populations in the face of property tax revenues that fail to keep pace continues to press municipal services and local infrastructure. This cannot be sustained in perpetuity. A big city managing today is no guarantee for that same city doing so in the future. More importantly, the issue should not be cast in simple terms of merely ‘coping’. Rather, the issue is all about building sustainable cities with a bright and prosperous future considering a range of quality of life factors. While some may be satisfied with Canada’s big cities simply limping along, getting off their laurels and working toward the best cities in North America  if not the world  provides a much more inspiring vision. In the first years of the 21st Century, Canada has recorded a number of successes  balanced budgets, consistent year over year increases in GDP, low inflation, and significant expansion of exports to both existing and new markets. Indeed, times are good. But rather than the good times lulling the country into complacency, Canada should be taking the time now to gauge whether it is getting things right. Sustainability is all about building resilience into cities on a ‘go-forward’ basis rather than sitting smugly back and enjoying past successes. The paper Rational for Renewal asserts that the current legal, fiscal, and governance relationship between provinces and big cities does not allow the latter to address current or future challenges. If the status quo is indeed inadequate  and it is  then what needs to change? Furthermore, why make those changes? Improved consultation and consensus-building between both partners is a vital first step. Currently, most Canadian provinces have no formal requirements in their municipal enabling legislation to consult with big cities on matters that directly impact them. But providing cities with a ‘seat at the table’ would do much to reduce intergovernmental friction, lead to more predictability in the policy environment, enhance the legitimacy of provincial government policy initiatives, and provide better tools for handling the inevitability of policy interdependence between the two orders of government. Increased autonomy and accountability of big city government is also required. The idea behind this cornerstone of a new partnership is to allow cities more latitude with respect to matters already under their jurisdiction  a loosening of the provincial reins. This allows better and more flexible decision-making attuned to community interests and needs and freedom for policy experimentation while strengthening the capacity of local communities to hold their municipal governments accountable. Greater autonomy and accountability gives big cities the capacity they need to address an expanding and increasingly complex policy agenda. Finally, a new fiscal framework is needed. Canada’s big cities, like all municipalities, are simply too dependent on only one tax source  the property tax. The lack of diversity in municipal tax tools is highly problematic. The property tax is inelastic  the revenue produced tends to grow slowly, often failing to keep pace with population growth, inflation, and economic expansion. Big city responsibilities have also expanded dramatically. Cities are finding themselves having to provide more and more services to ‘people’ as opposed to ‘property’, a task for which the property tax is ill-suited. With more and more residents filling the beltways around our city-regions, big cities find themselves having to provide services and infrastructure to a growing population who pay their residential property taxes elsewhere. Supplementing the property tax with other types of taxes would place them on a stronger fiscal foundation. The intent here is not to dramatically increase the tax burden (even though in the West property taxes are quite low today relative to historical levels) but to change how taxes are collected and from whom  a consideration just as important as the amount of taxes collected. The health of Canada’s big cities are a necessary prerequisite to maintaining and raising Canadians’ standard of living, improving socio-economic equality, and providing a high quality of life. This recognition is driving the need for a new intergovernmental focus in Canada, and success or failure here will have no small impact on Canada’s future economic and social prospects. Casey Vander Ploeg is a Senior Policy Analyst at the Canada West Foundation, working primarily on the Urban Finance Initiative, part of the Western Cities Project. Mr. Vander Ploeg has a Bachelor’s degree in Political Science from the University of Lethbridge, and formerly worked as a journalist. 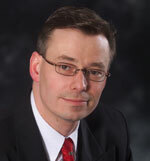 Mr. Vander Ploeg has been a research analyst at the Canada West Foundation since 1991. During his tenure, he has authored or co-authored over 50 research reports and participated in numerous discussion panels and other public affairs programming on a diverse range of topics including government finances, economic development, parliamentary reform, consultative practices, direct democracy, Senate reform, and national unity.